The 30-minute special will then stream on UFC.com immediately after at 7:30PM ET for fans whose cable companies don’t carry FUEL. 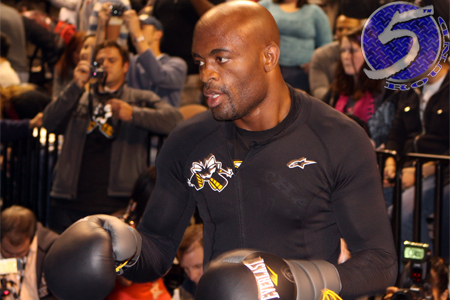 The documentary focuses on middleweight king Anderson Silva (Pictured) and chatty challenger Chael Sonnen as they prepare to perform in the most anticipated rematch in mixed martial arts history. After manhandling Silva for nearly five complete rounds at UFC 117, Sonnen was abruptly submitted with only 110 ticks remaining on the clock. Uncle Chael has been a thorn in “The Spider’s” side ever since the August 2010 defeat. The sequel takes place next Saturday inside MGM Grand Garden Arena in Las Vegas, Nevada.